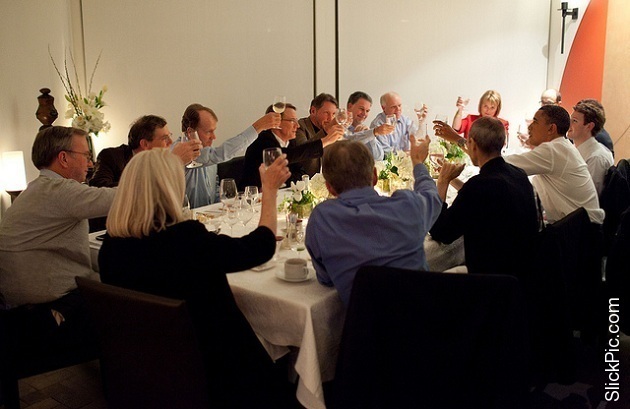 Down in Silicon Valley the other day, John Doerr hosted a "baller" dinner. SFO was closed for a second to let Airforce One land so our President could have dinner with some of the biggest names in the world. The 26 year old Zuckerberg is the founder of Facebook sits next to our leader along with CEOs of some of the biggest companies you use on a daily basis. These are the real Heavy Hitters.